At the Law Offices of Danels & Lardieri in Greenbelt, Maryland, we offer unmatched advocacy and support in a variety of legal areas to help you with virtually any legal matter affecting your livelihood, your family, your business and your future. 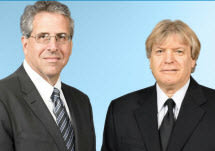 Led by experienced attorneys Michael Jay Danels and Ernest Gregory Lardieri, our law firm has become the trusted source for many across our region, and we have developed strong, long-term relationships with those we have served by delivering the quality, cost-effective representation they deserve. Regarded as leaders in our field, we use our extensive knowledge of effective trial techniques to educate and train other attorneys, and we offer this level of experience directly to you to help protect your rights and interests while striving to achieve the best possible outcome for your situation. If you would like to discuss your legal needs with no risk and no obligation, we invite you to contact Danels & Lardieri to schedule a free initial consultation.